Mosaic tile is a true thing of beauty and we at Stone Masters have always loved glass mosaic tile and how it catches the light. Our detailed glass tiles give a room or space an air of classic beauty and even if you are only using them for a small backsplash, they can easily become a talking point amongst your guests. These are the reasons we keep our Toronto showroom fully stocked with glass mosaic tile and also why we are one of the leading suppliers in North America. We offer twenty-two different shades of glass and they are all stunning in their own right, which is why customers tend to spend quite a bit of time gazing at them to find the right colour for their homes. Stone Masters has an excellently trained staff, many with interior design backgrounds, who will discuss our options at length with you and review your layout and colour scheme to offer the glass mosaic tile that works best for you. Our stunning colours range from pale greens to rich beige tones and can be cut in round, square, rectangle or asymmetrical shapes to add your own personal touch to the project. Mosaic designs have been around for thousands of years and we are happy to offer glass as a premium material for any surface you might want to upgrade around you home. Our international buyers have unearthed some of the most beautiful colours for use with our glass mosaic tiles and our showroom in Toronto is filled with these surfaces in various forms of use, so please swing by for a visit. Even if you aren’t in our neck of the woods, you can still review our inventory here at the website and give us a call if you have any questions. Many folks are hesitant to buy tile on their own, but please do not be discouraged. Our trained staff can review your project plans and offer suggestions and advice to keep you from being overwhelmed. 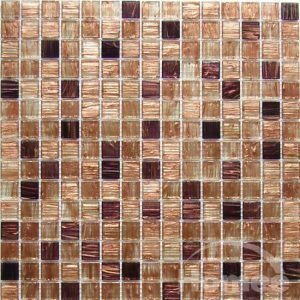 Based on your plans, we should be able to give you a pretty solid estimate of how much of our glass mosaic tile you need for you project and how much it will cost. 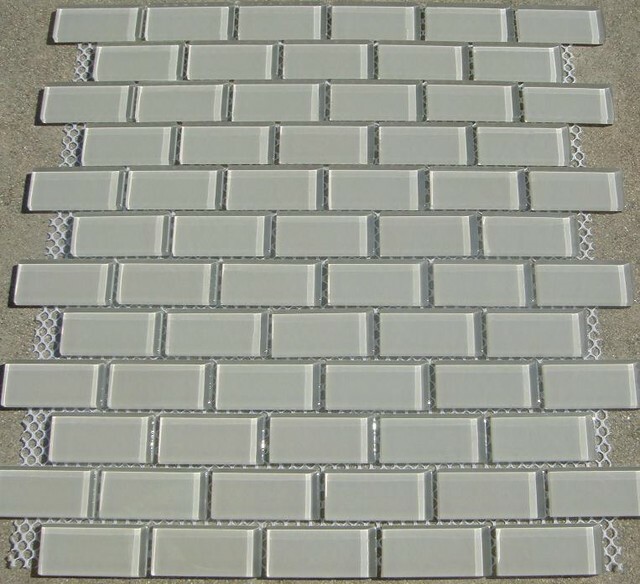 Glass mosaic tile is a durable and fashionable surface that will age well and serves as a talking point for your guests whenever you are entertaining, which essentially adds a nice return on your investment when you choose to install it yourself or have one of our knowledgeable contractors install it locally in the Toronto area. We at Stone Masters are very confident in our mosaic tile and we’re committed to providing you with the best customer service experience so that you will think of us first whenever a new stone or glass surface project comes up in your home. With so many options to choose from and our affordable pricing, we hope you decide to use Stone Masters tile for all of your stone surface needs. If you want to give any space in your home an immediate face-lift, glass mosaic tile is a great place to start. It can be just in a variety of configurations throughout the home, and is available in many different styles. 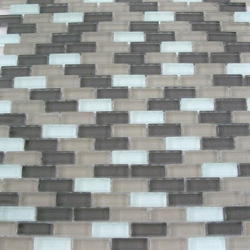 Stone Masters is proud to offer high-quality glass mosaic tile to Toronto homeowners and businesses. Our selection includes everything from blended colour patterns to shapes that resemble pebbles or chess boards. You can go with a monochromatic pattern, multi-coloured pattern, and any other style you can think of. There are so many designs to choose from that you might not know where to begin. If you want to give an old kitchen a modern look, glass subway backsplashes are a good choice. Opaque looking tiles are suitable in small rooms where you want to create an illusion of space. Just about any glass mosaic design will do if you want to accentuate rich wood tones of antique cabinetry and furniture. In addition to different colours and patterns, we offer different sizes as well. A few choices include 1x2-inch Nero, 5/8x6-inch classic travertine, 5/8x5/8-inch Bianco Crema, and many more. You don’t have to just stick them on the wall – they can be used on tabletops and countertops, as wall hangings, and for simple artwork. 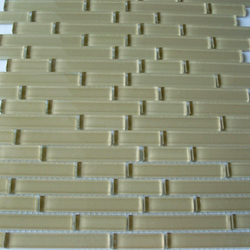 One way you can use the mosaics is as tile to break up larger backsplashes or bath surrounds. 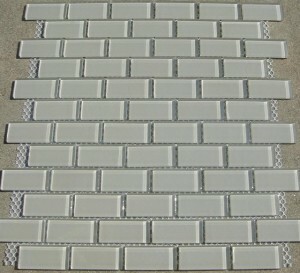 If you already have large subway tile backsplash, you can insert 1x1-inch glass mosaics to add attractive contrasting. Elongate your existing backsplash by inserting a horizontal strip of glass mosaic tile to provide the visual effect. Just look through our catalog for some ideas. 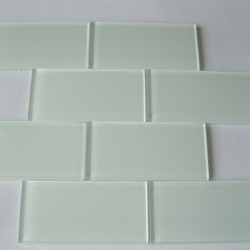 Glass is always a sophisticated choice in wall decorations, no matter what look are you trying to achieve. The luminosity given off by white glass provides a lot of visual appeal to a small kitchen. 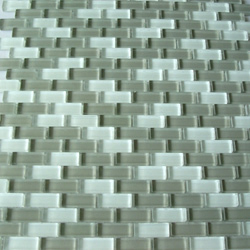 Since mosaics are easy to install, you don’t have to spend a lot of money to remodel your kitchen or bathroom. You’ll get a lot of value from the investment, as glass mosaic tiles age well. They do not scratch or disfigure easily, contrary to common belief. To clean, all you need is ordinary kitchen cleaners and sponges/cloths. The sparkling look of glass can be achieved with the use of a soft cloth, mild soap and water. The easy care and maintenance is one of the many reasons why so many people choose glass as their decorative mosaic material. Just use common sense – don’t exert severe pressure against glass, or use highly abrasive materials. In addition to mosaic tiles for countertops and backsplashes, we also offer medallions in various colours. Each medallion has a beautiful pattern or decorative element, including stars, swirls, and circles. There’s a place for every room in the house for mosaic art. If you’re not sure which type and style of mosaic tile to choose, our interior designers will help you decide. We also do custom work if you have something specific in mind. All you have to do is supply the plans and we will work hard to meet your requirements. We only work with the highest quality glass and natural stone. No matter which mosaic product(s) you choose, you can expect it to last for decades. Fill out the contact form today to get your free quote.